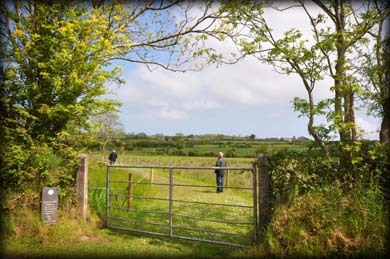 Hidden in a small enclosure in Tubrid townland, in the parish of Ardfert, this magical location is one of the most tranquil sites I have ever had the pleasure to visit. We were blessed with gorgeous sunshine as we approached the enclosure along a daisy strewn path that took us across the field to the well. 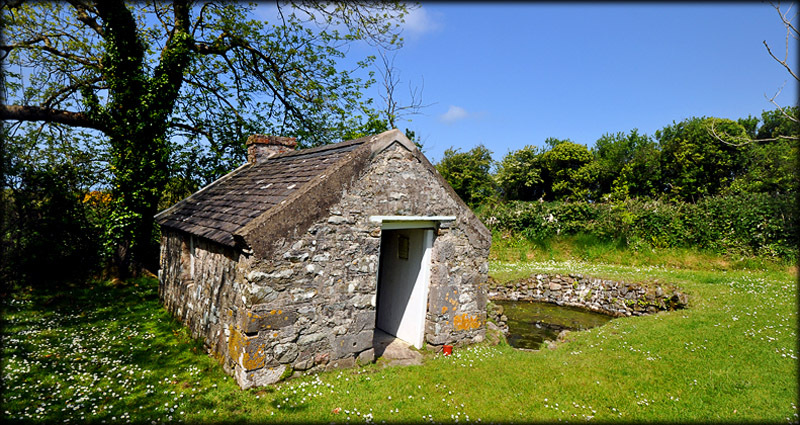 This natural spring is situated to your left as you enter and next to it is a small building known as the chapel. 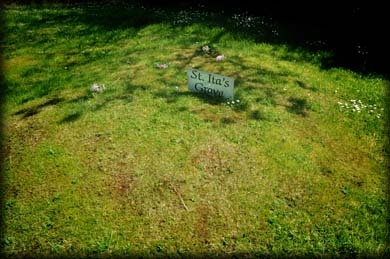 Pilgrims would rest overnight in the chapel. 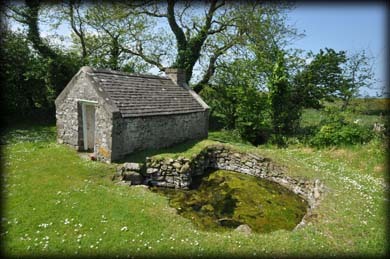 This is the holy well where St Brendan is said to have been baptised by Bishop Erc. 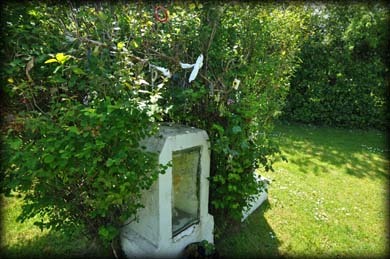 Facing the well is a stone altar with three figures, their featureless faces worn from pilgrims scratching crosses on them. 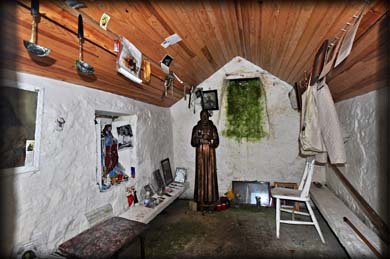 The figures are said to represent St Brendan, Bishop Erc and St Ita. Situated: From Ardfert head south on the R551. After 350 metres turn left at the garage (Station Rd). Then cross the Abbeydorney road and take the next left, 3.5 k from the garage. The well is 150 metres down here on your right, through the farm gate. Discovery Map 71: Q 8186 2048. Last visit May 2013.